HFWD Shimla Recruitment 2018: Himachal Pradesh Health and Family Department released a new recruitment notification for the available 238 Pharmacist Allopathic jobs. This HFWD Shimla Recruitment 2018 purely contract basis of 3 years. Candidates who had done Diploma or Degree in Pharmacy are eligible to apply for this HFWD Allopathic Pharmacist Jobs. The selection for Himachal Pradesh HFWD Allopathic Pharmacist Latest Govt Jobs 2018 is will be through written exam or merit in educational qualification. All interested candidates take part in the HFWD Recruitment 2018 to apply on or before the 23rd September 2018. HFWD Himachal Pradesh Allopathic Pharmacist Vacancies recruitment 2018 notification eligibility criteria, age limit, himachal.nic.in salary, qualifications, Health & Family Welfare Department application form procedure and other details are given below. In latest HFWD Shimla job announcement, the authority of the Health & Family Welfare Department announces the job vacancies for Pharmacist (Allopathy) on a regular basis to fill 238 positions. On the basis of HFWD Shimla Recruitment 2018 written Test and Interview applicants for HFWD Shimla Recruitment 2018 jobs will be finalized on merit. The shortlisted candidate will be recruited with a pay scale of Rs. 5910-20200+3000/- Grade Pay and Consolidate contractual emoluments Rs. 11160/- per month. So job seekers hurry up it is the better opportunity to get a place in Himachal Pradesh. If you want to know more stick to our freshersnow site. Should possess ten plus 2 in Science from a recognized University/Board. People must be registered with the Pharmacy Council of the concerned State/ Central Government. Candidates must have Degree or Diploma in Pharmacy from the recognized University or an Institution duly recognized by the Central/ State Government. Knowledge of customs, manners, and dialects of Himachal Pradesh and suitability for appointment in the peculiar conditions prevailing in the Pradesh are required. Consolidate contractual emoluments Rs. 11160/- per month. The candidates shall have to bring their degree/ diploma certificates in original with attested photocopies thereof and also the latest document. And also people have to produce original certificate of belonging to SC, ST, OBC, IRDP issued by BDO/ competent authority concerned on the form prescribed by the HP. Government. On the official page search for the HFWD Shimla Recruitment 2018 link. 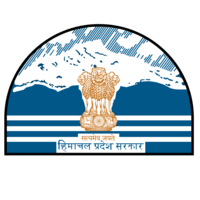 Read the complete official HFWD Shimla Recruitment 2018 notification. Later, send it to below address along with the documents.